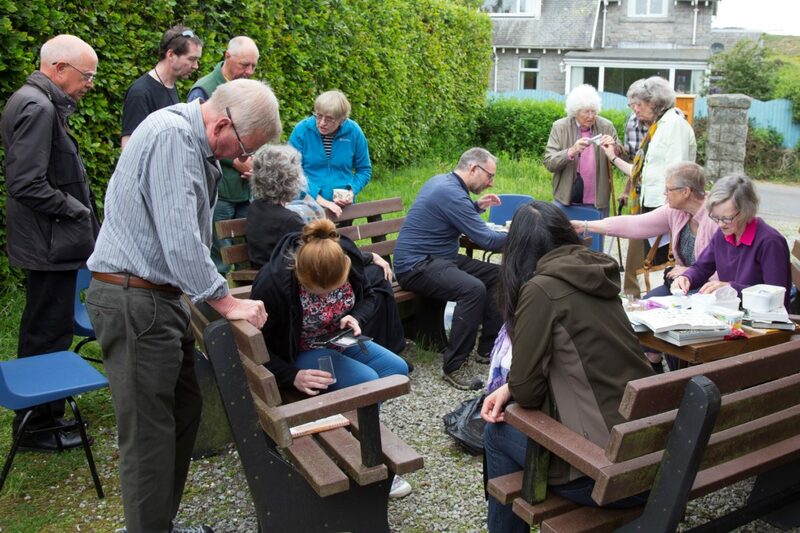 The dry warm weather provided perfect conditions for SWSEIC’s community moth trapping in the village of Kirkgunzeon on 1st and 2nd June, 2018. 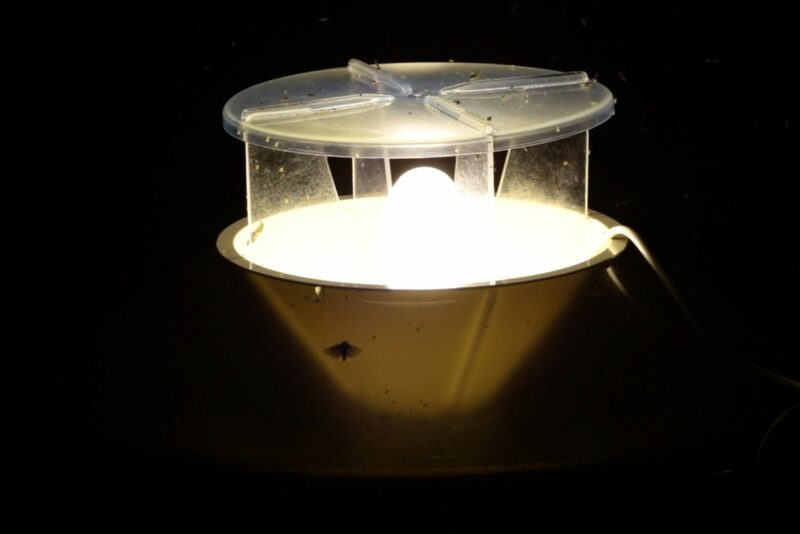 A small group gathered at the village hall on Friday evening where I explained a little about how moth trapping worked and showed everyone how to work the various traps that we would be setting that evening. 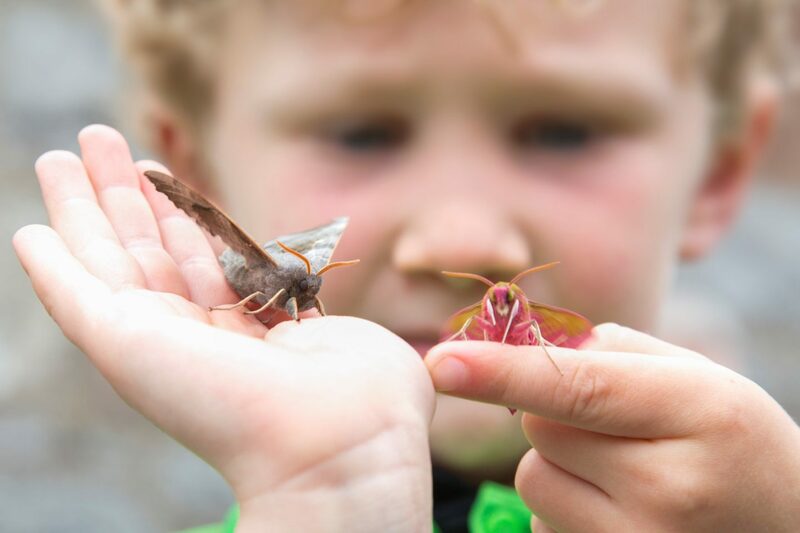 Our budding moth-trappers carried away their chosen traps and a bag of specimen pots for any moths that didn’t quite make it inside the trap. The threatened overnight thundery showers never materialised and next morning we gathered in pleasant conditions at 9am back at the village hall. Each of the six traps were covered, awaiting examination of the contents. 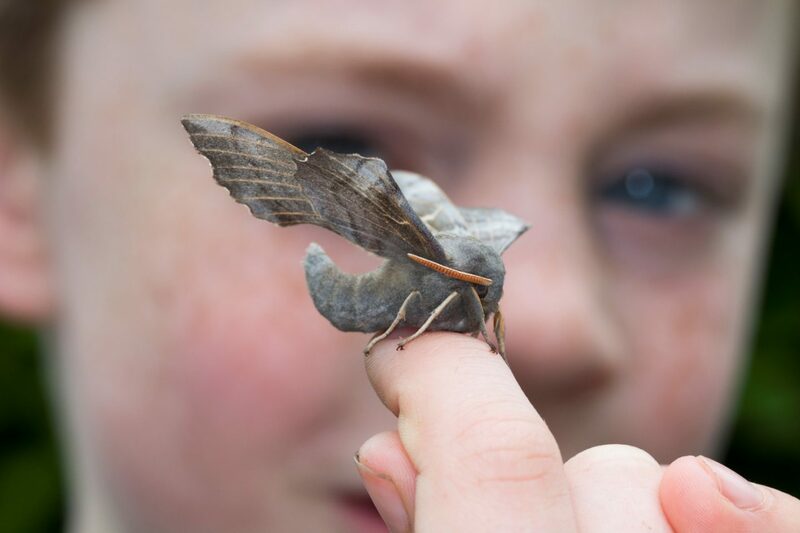 For anyone who hasn’t been moth-trapping, it’s the closest thing I know in wildlife recording to opening Christmas presents; the expectation, the uncovering and the examination of the egg-boxes inside seeing with delight (or disappointment!) what lies within. Today was to be a day with plenty of delights. 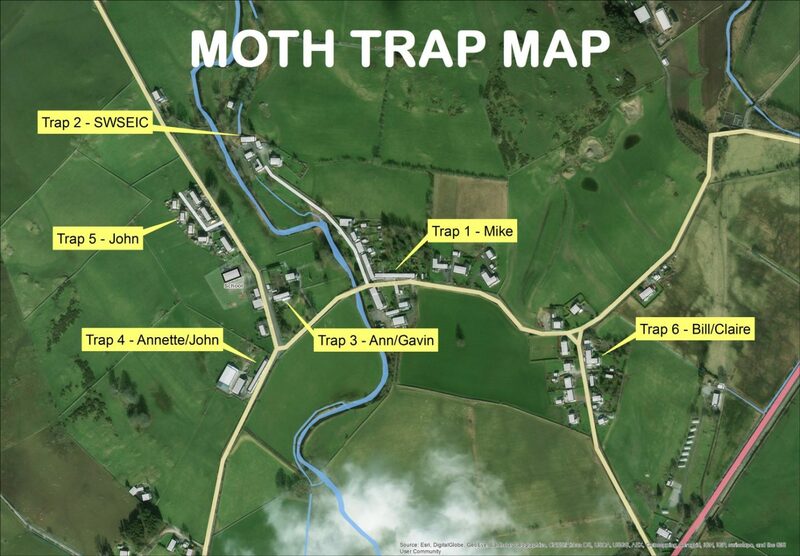 The first trap (trap 1) was a Robinson Trap (the Rolls-Royce of moth-traps) which had been set in a garden in the centre of the village. It proved to have the most diverse catch of the traps set. 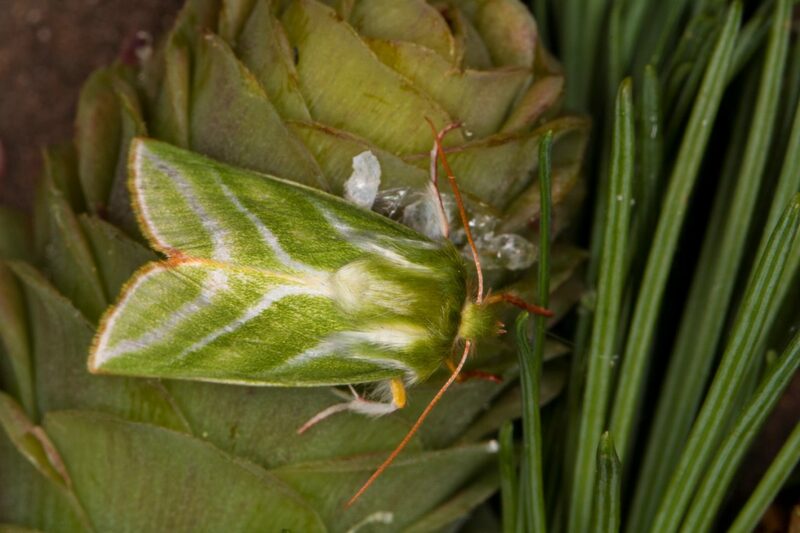 First moth out was a Brimstone Moth, closely followed by a stunning Green Silver-lines. A Cinnabar moth flew off and evaded recapture. 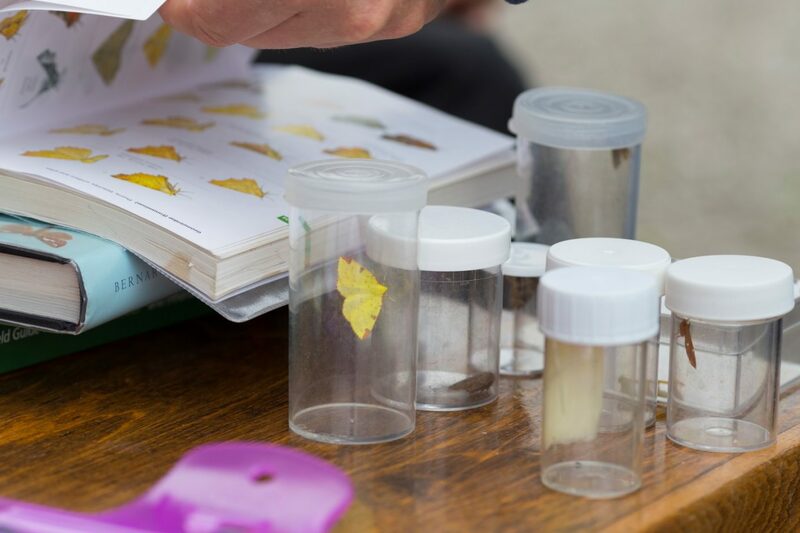 Alison Robertson, former county recorder, was helping to do the identifications and soon spotted (and potted) the first of several tiny micro-moths which was retained for later examination. 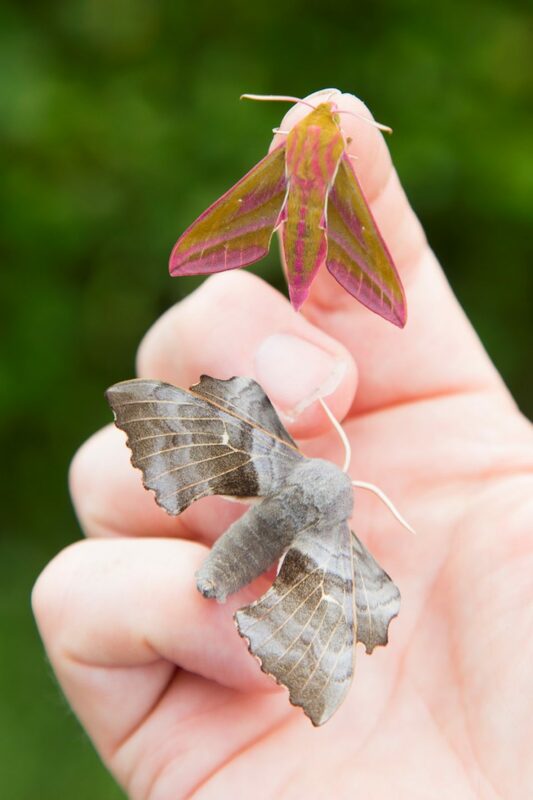 It was some time before the first hawk-moth emerged from the trap – a fine Poplar Hawk-moth – which was greatly admired by the onlookers both old and young. 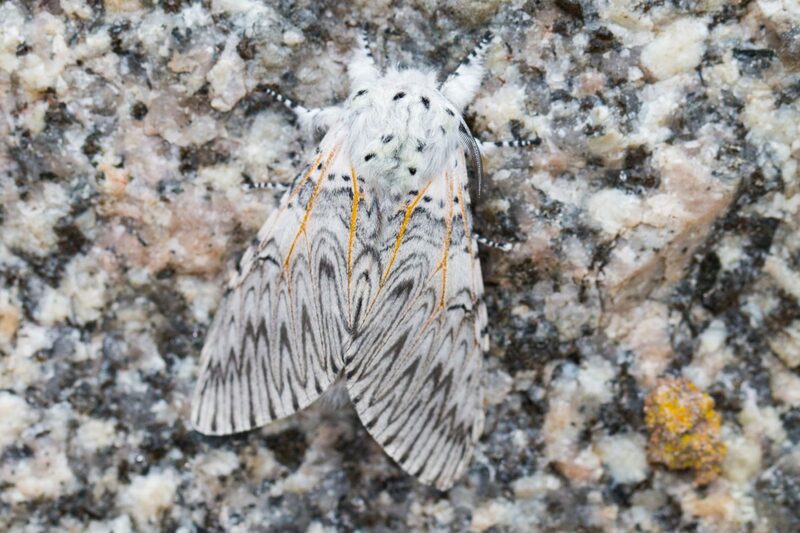 Other species of interest included the elegantly marked Scorched Wing and a furry Nut-tree Tussock. 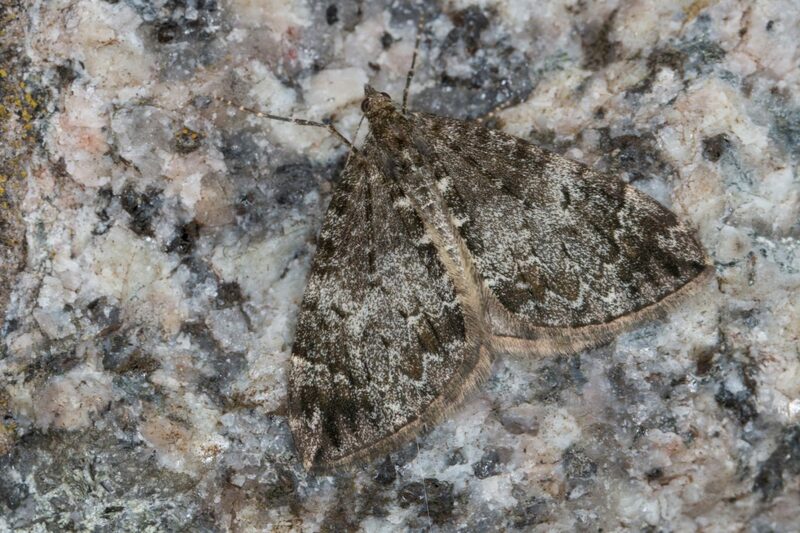 Three Triple-barred Argents, one of the micro-moths which appears to have been spreading northwards, may well be the first for Kirkcudbrightshire. A single Brown China-mark was not unusual, though the species larval home underwater feeding on pondweed is certainly unusual amongst moths. A total of 123 moths of 37 different species was a fine start to the day. The second trap checked (trap 5) was set in a garden on the west of the village. 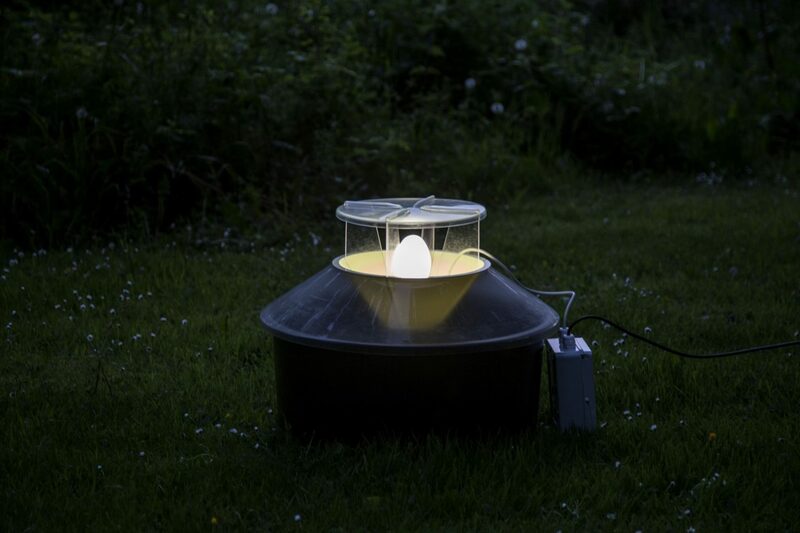 This was another Robinson trap and contained even more moths (133) though with slightly fewer different species (30). 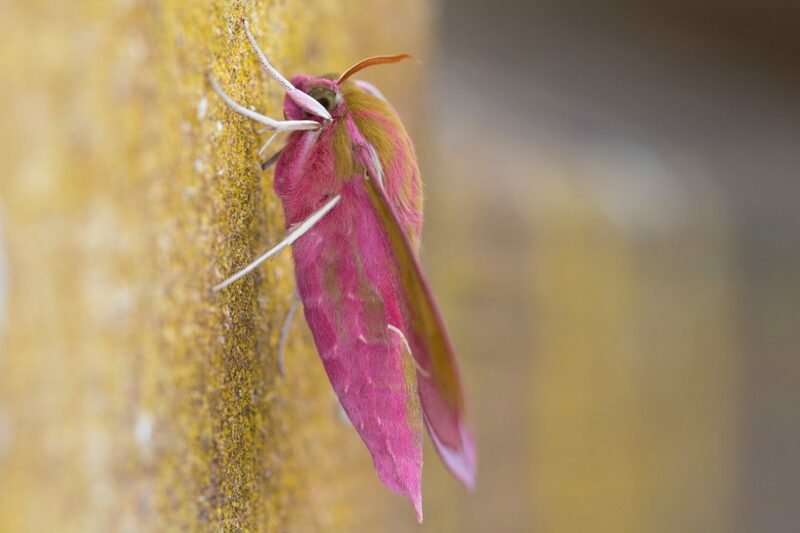 Almost half of the moths were the common and widespread Small Square-spot, but it wasn’t long before the first of seven Elephant Hawk-moths, with their pink and green livery, emerged. 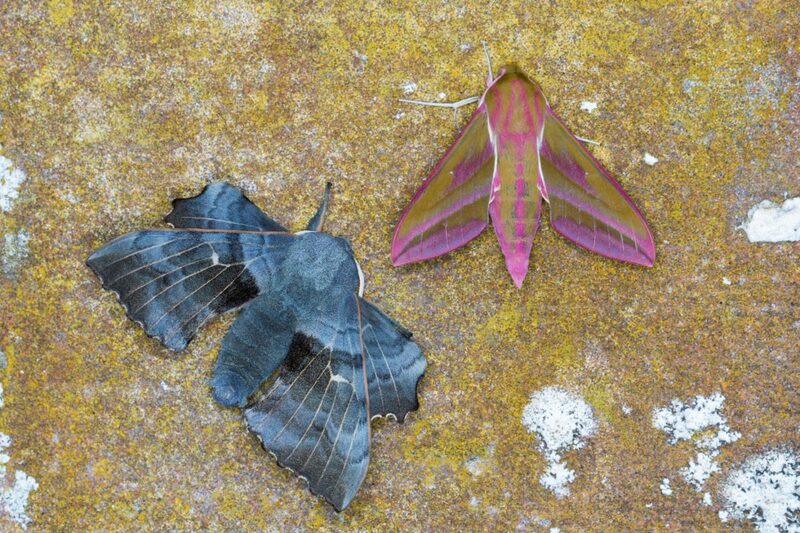 How could such beautiful insects live amongst us virtually unseen and unknown to everyone (save us moth-trappers)? The beautiful Chinese Character and Iron Prominent added to the variety. The third and fourth traps checked (numbers 3 and 4, Robinson and battery powered Skinner) were located in the SW of the village and yielded smaller numbers, but included the days only records of Flame Carpet, Middle-barred Minor and Hebrew Character. Trap 3 yielded four more Poplar Hawk-moths and Trap 4 had perhaps the star of the day – a Puss Moth. This species is large and intricately marked and has a caterpillar which is equally stunning. 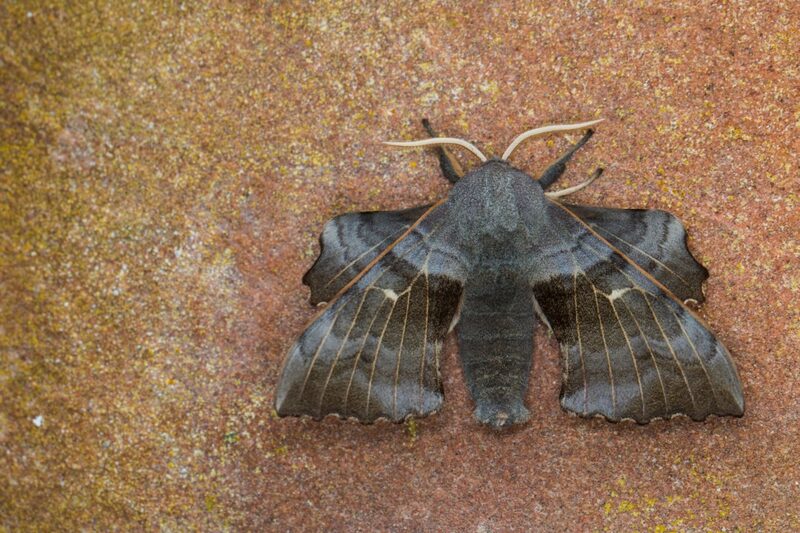 The next trap (trap 6, mains-powered Skinner) started with a Foxglove Pug, one of five different species of pug moth recorded on the day, soon followed by Lunar Thorn and Peppered Moth. The delicate Clouded Border was the last of the additions. 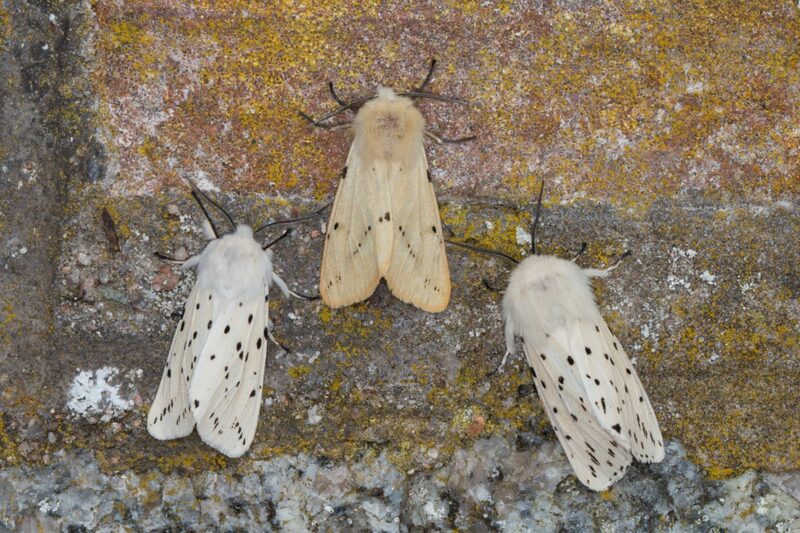 Only 29 moths, but 20 different species. Finally the Robinson trap set behind the SWSEIC office (trap number 2) was emptied. 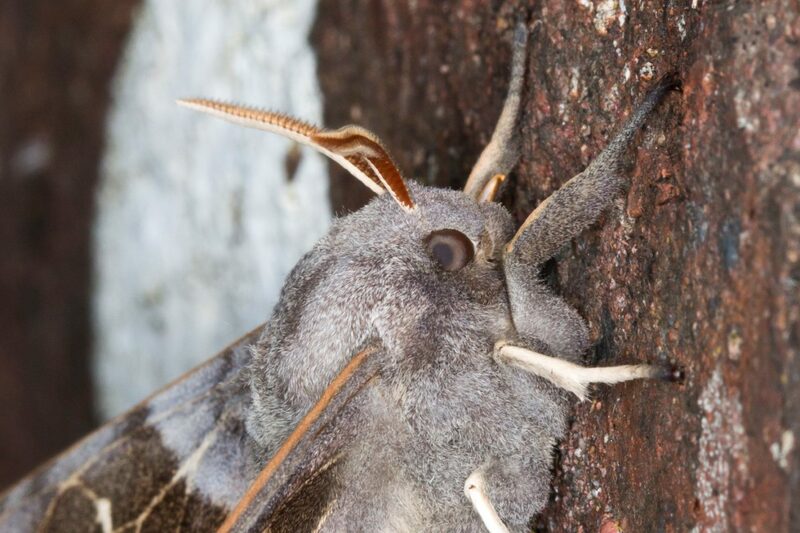 This produced a total of 91 moths of 30 different species. New for the day was a Bright-line Brown-eye (not to be confused with the Brown-line Bright-eye – aren’t moth names wonderful! 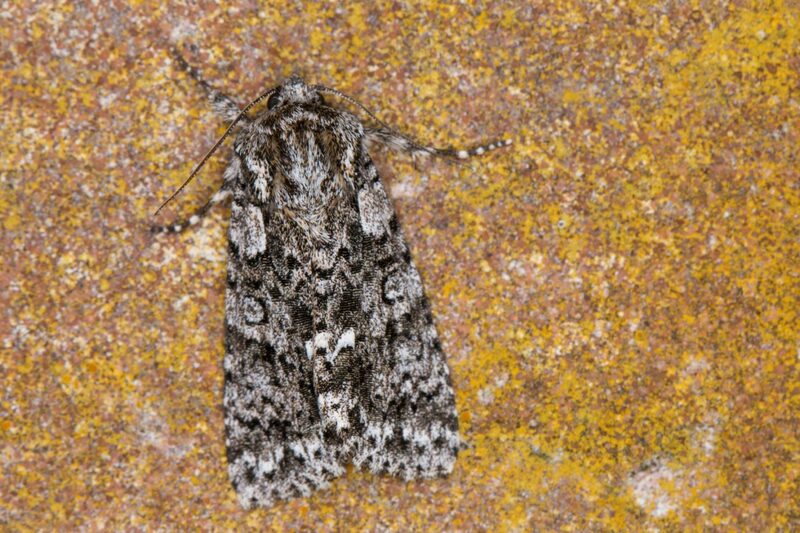 ), a Dark Spectacle, a very tatty Green Carpet and a twig-like Pale Prominent. 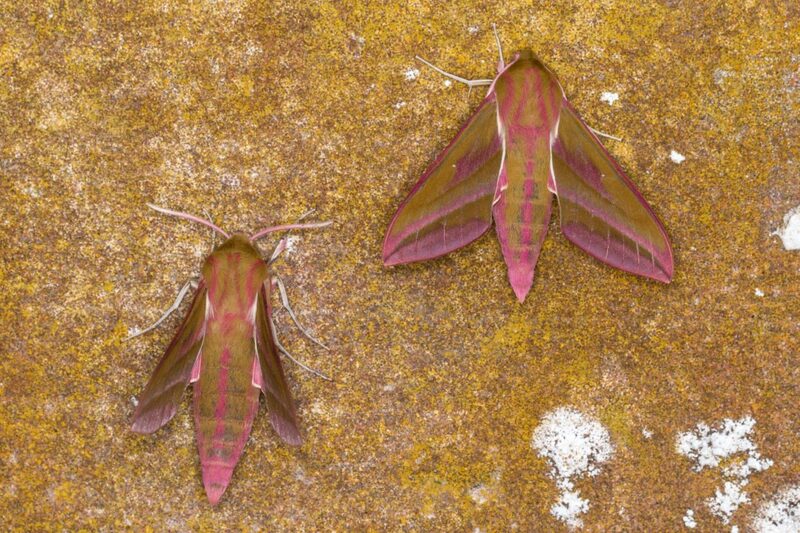 A Small Elephant Hawk-moth added to the hawk-moth tally. That concluded the results of the previous nights’ trapping. The benefit of putting out several traps in different locations was clear; the slightly different habitats, trees and food plants available nearby meant that each trap contained at least one species that was not recorded in any of the others. 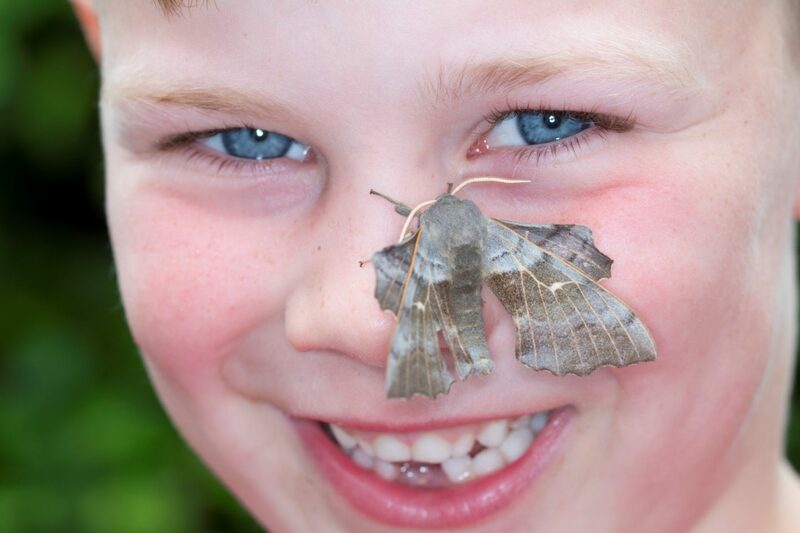 The overall total of 421 moths of 77 different species (62 macros, 15 micros) was a fantastic tally. 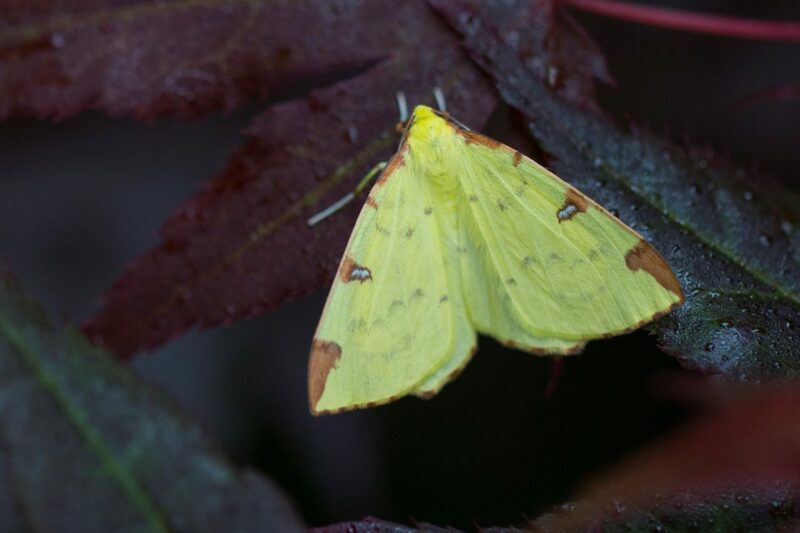 Of these, 18 species (10 macros and 8 micros) had not been previously recorded locally (i.e. in grid square NX86). Add to this giving the opportunity for over 40 people from the village, and beyond, to enjoy some of the hidden and beautiful species living amongst them and it makes such days a special part of my job. 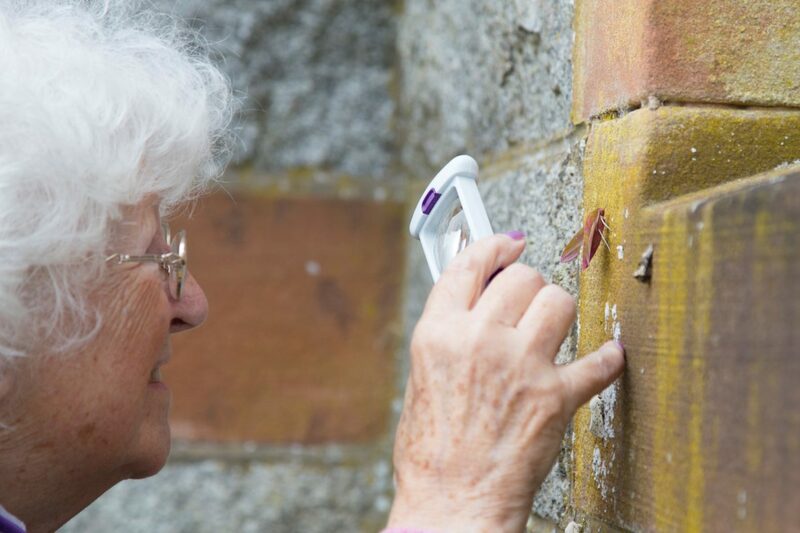 Throughout I was ably assisted by the aforementioned Alison and by Val and Peter Russell and Jenny Bruce, helping with identification and recording of the days finds and returning the moths to the cover of vegetation. 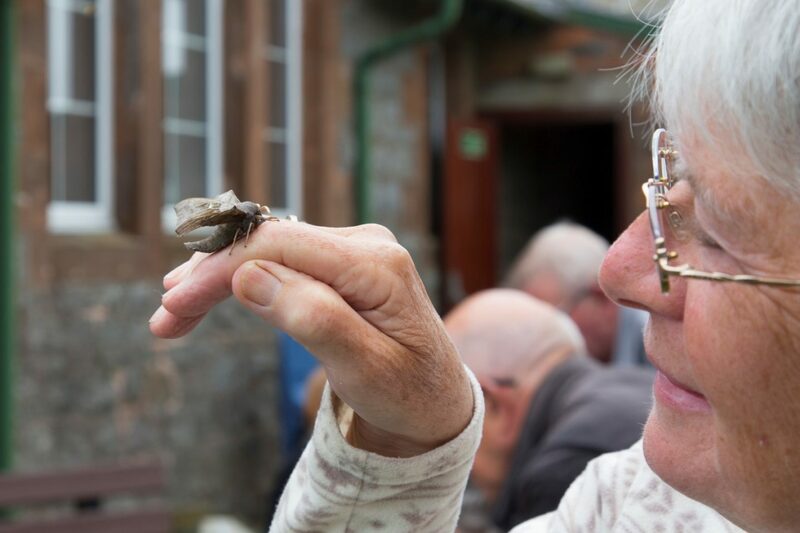 Also thanks to Ann and Gavin, John and Jayne, Bill and Claire, John and Annette and Mike for setting traps in their gardens and contributing to some citizen science! Special thanks to Ann for helping organising the event and refreshments on the day and to the Ninevah Charitable Trust who helped to fund the event. A big thank you from SWSEIC to all of the above and to those who came along for your help in making the day such a success. Macro Marbled Minor agg. Oligia agg.